A bumper pack of features and fixes for this fortnight! 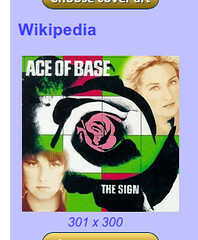 The first main feature is Wikipedia album art lookup. This adds Wikipedia to the existing trusted sources for album art, joining MusicBrainz and Discogs. I implemented this for two main reasons; firstly it should improve the probability of finding album art and furthermore it should lower the burden on other album art sources. You can see the Wikipedia album art lookup working via the change art screen. It also works in the background for automated album art lookup. Above I specified a group size of three, so bliss divided artists by their start character in groups of three characters; this means Oasis fits in the 'MNO' group alongside Neil Young and MGMT. I could've also asked for a group size of one, which would have put Oasis in the 'O' group, alongside only artists beginning with 'O' such as Orbital. This groups artists by their first character, where each group comprises one character (e.g. A, B, M etc), and then a standard artist/album/track structure. This organises all of your tracks into subdirectories according to their first character, where each subdirectory holds track names for one distinct character. Specified on its own, this would act on your entire music collection, jumbling up albums and artists. The power of the file organisation rule is one reason I've also added a warning to the settings from this version... A couple of people had been caught out. Get the new release from the downloads page. Your existing fixes apply to this version too!